Mammaaaaaa mia! 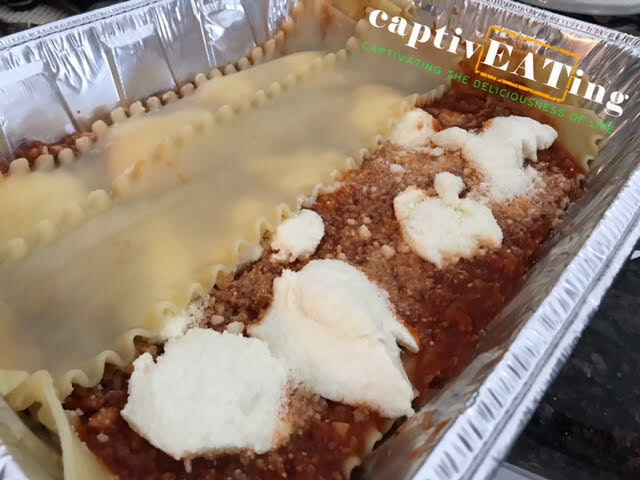 Let’s talk about this lasagna for a second.. or a few minutes. Two nights ago I was highly inspired to make a pomodoro sauce (click link for recipe) and ended up cooking my little heart out. 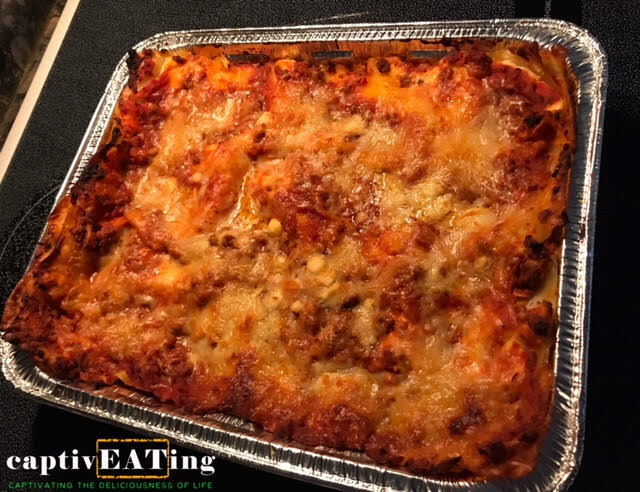 Lasagna was my dish of choice with the sauce, although it can be used for a variety of pasta dishes, even meatballs! This lasagna tasted like my mom made it (she’s excellent in the kitchen). So proud of the tastiness and would love to share the recipe because everyone deserves amazing pasta in their life. Cook sauce first. Then cook pasta according to box directions(it cooks for about 7-8 minutes for al dente). Pre-heat the oven to 400 degrees(F) and grease the trays with a bit of butter to avoid pasta sticking. Once the pasta is finished, start pulling pieces out to drain and place into tray. My trays had 4 pieces of pasta layered with their sides slightly overlapping, and I made 3 layers. Start with the first layer laying the pasta flat, then add sauce, ricotta, mozzarella and parmesan evenly across. 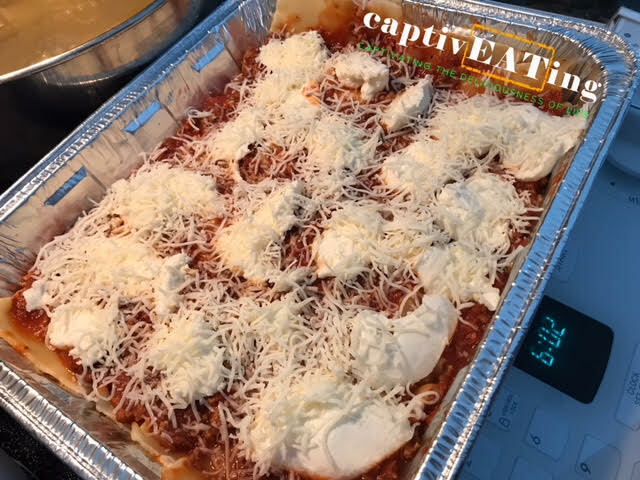 When your layers are finished the way you want them, cover the top of the pasta layer with the remaining sauce and cheese. 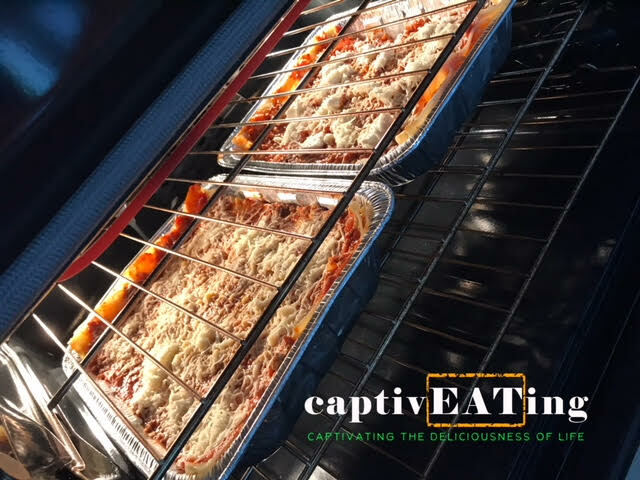 Cover trays with aluminum foil for the first 25 minutes of cook time. Uncover for 25 more minutes. Take out of the oven and let rest for 5-10 minutes before cutting, if you can wait that long!